Building a synchrotron light source is usually a good investment for a country in the long run. They help stem the age old "Brain Drain" problem facing many developing nations. If a scientist's research reaches the limit of their home country's capabilities, they'll travel abroad to continue their work and oftentimes never come back. Many developing nations have seen generations of their best and brightest migrate away this way. Having a synchrotron in the country is like an anchor, letting the researchers do what they need to do in their home nation. China's economy has been booming in recent years and in 2009 it announced it would be building it's own "world class" synchrotron. In the 1980s Brazil, South Korea and Taiwan also built their own facilities when their economy and infrastructure could support it. It's almost like a badge of honor when a country reaches the point it can support one. SESAME in Jordan is a little different because instead of being built by one single country, nine are pitching together to build it. Each is giving what it can, and the rest of the world has donated money and parts to get it off the ground. It'll be a major milestone for the region to come together and complete a major project like that. There's still a lot of room in the world for more synchrotron light. There's still no such facility on the entire continent of Africa. In Early May, the government of South Africa joined the ESRF accelerator consortium located in the south of France. Scientists from South Africa will be able to travel to the science facility and access its beam lines. 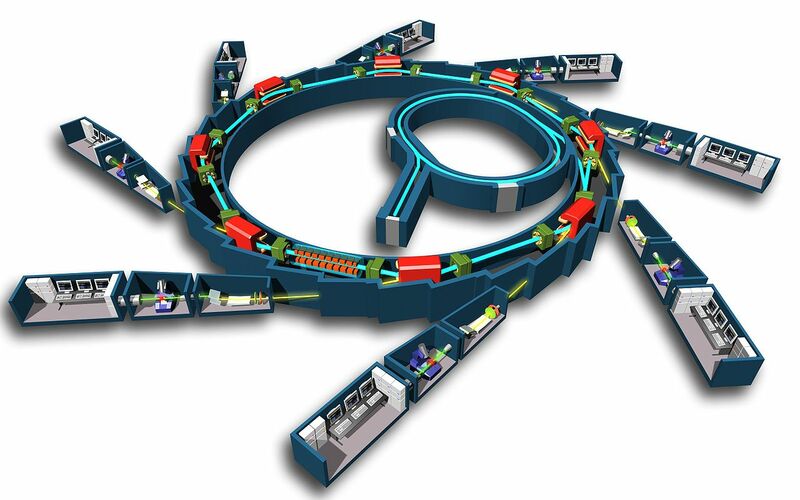 Scientists in the country have been pushing for a synchrotron of their own, and this is an important step towards building up their capability.